We’re really proud of this unique addition to our Portfolio. Our client wanted to build a contemporary glass house on a new site in a Wiltshire village. 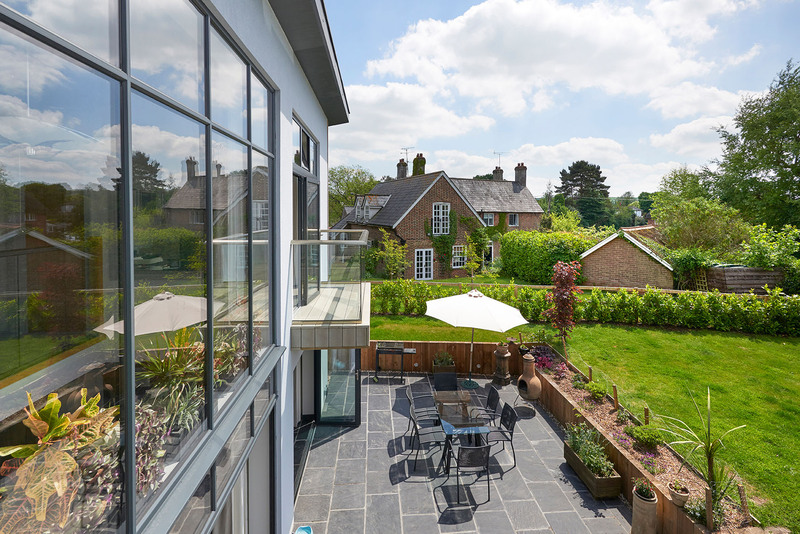 The site was taken from the garden of a Grade II listed building, and sits in a secluded area. We achieved planning permission in April 2015, and the house was completed in early 2017. 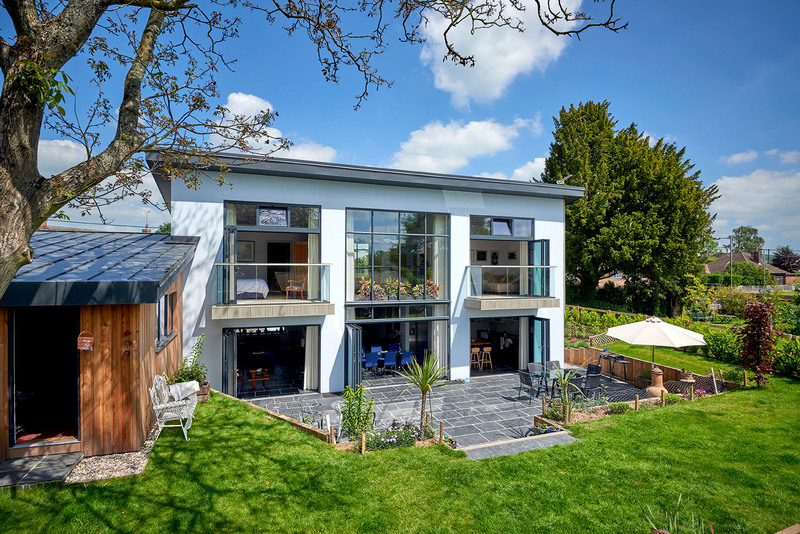 This home demonstrates that contemporary builds can be a positive enhancement in small villages when considerately designed. 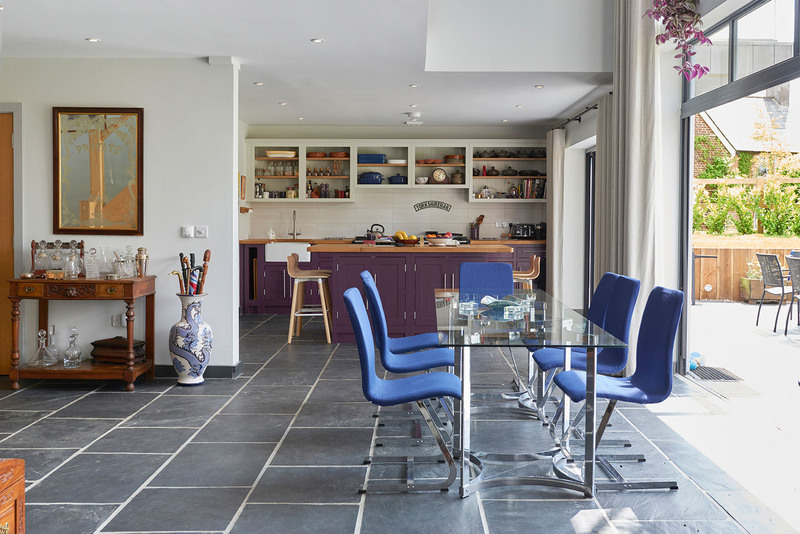 Our client has also managed to create an interesting mix of old and new, and above all a wonderfully light and airy home. From the outside, the front of the house is discreet and minimal, and has a concealed entrance. 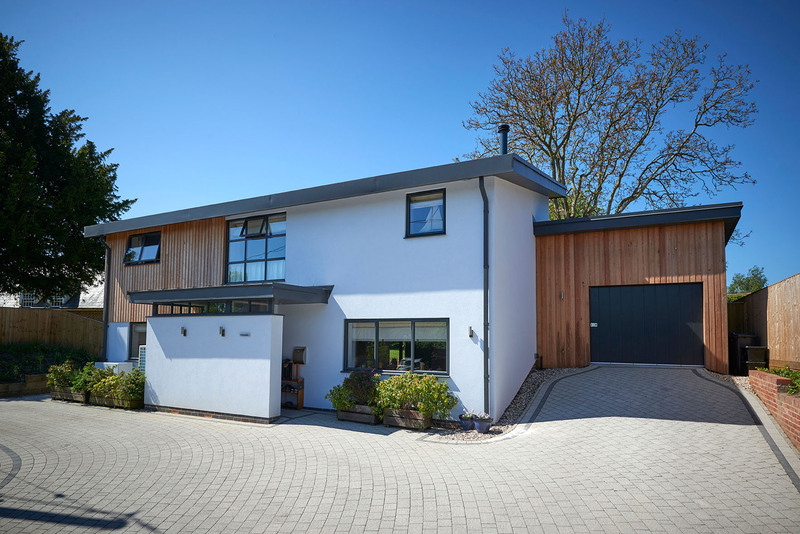 The crisp white render and warm timber cladding carry round to the garage and the rear of the house. 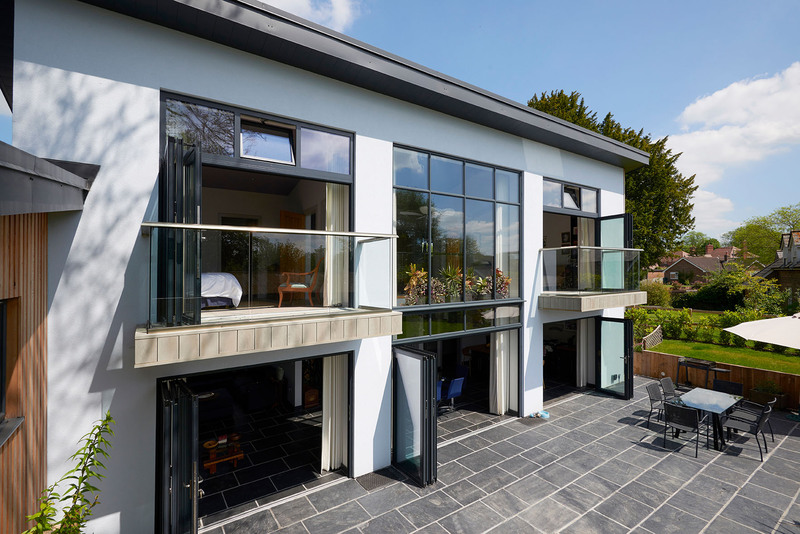 The mono pitch roof is a popular contemporary design choice, because the slope can be used to maximise the views and light from the glass walls at the rear. Inside, the downstairs is completely open plan, the main areas being the kitchen, dining area, and the living room. The dining area is sleek and modern with glass and metal furniture. 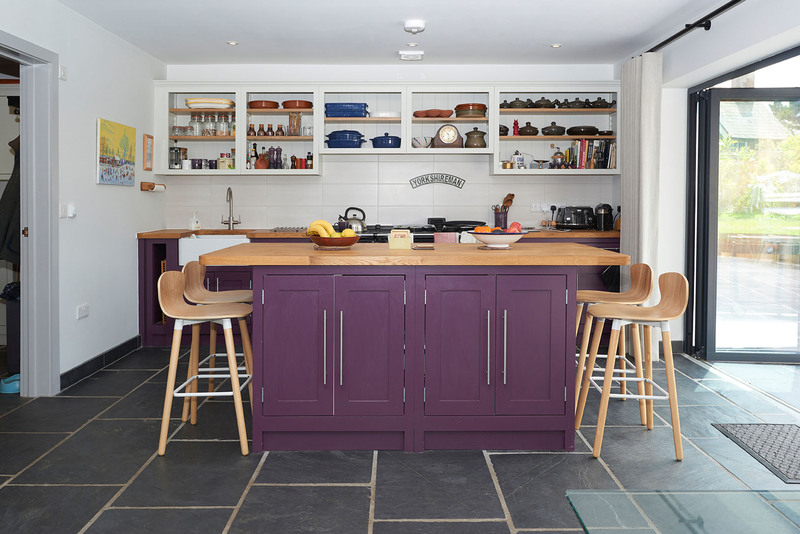 The kitchen, on the other hand, has a farmhouse feel with a Belfast sink, wooden worktops, and a plum Aga to match the units. The monotone white walls and black slate floor also create the perfect backdrop for the collection of antique pieces dotted through every room. 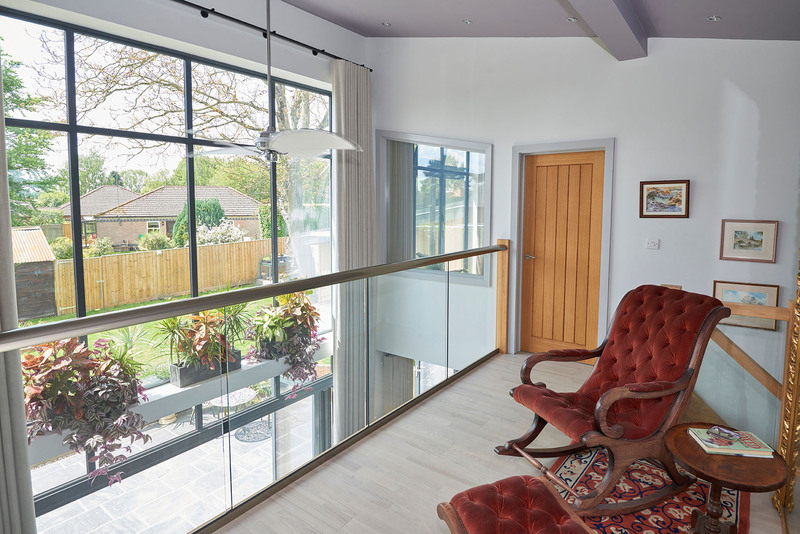 Upstairs, the landing takes full advantage of the impressive double height glass wall. Both the master suite and the guest room/study have balconies looking onto the garden. 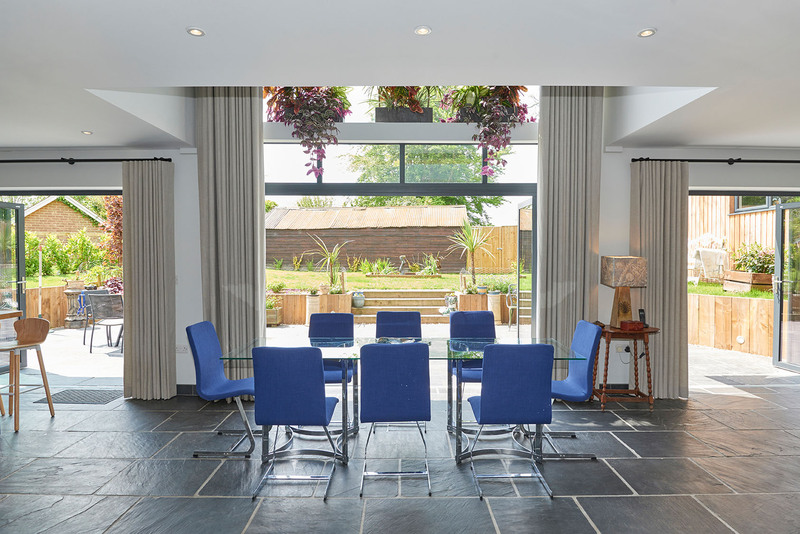 At the back of the house, the black slate floor continues through from inside to the landscaped garden. 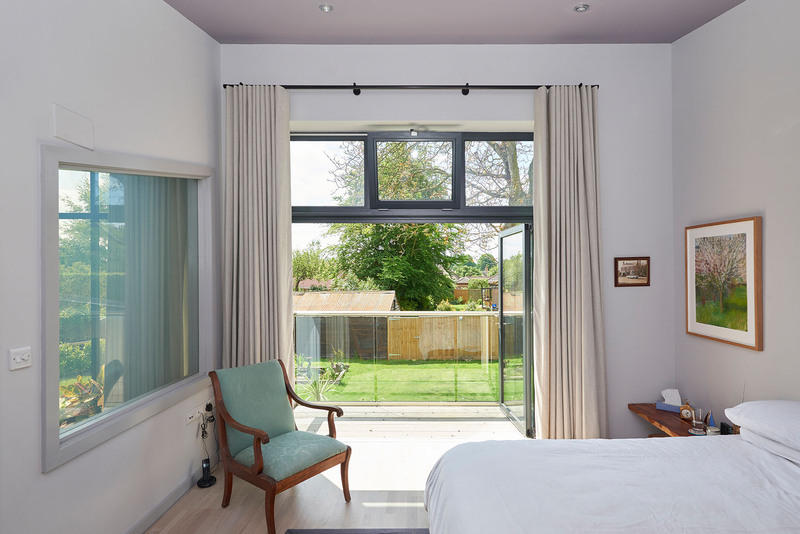 The bi fold glass doors on both levels give a lovely open feel and connection with the outdoors. Follow us on Pinterest to see more of our modern glass house inspiration. Contemporary style isn’t limited to new builds. 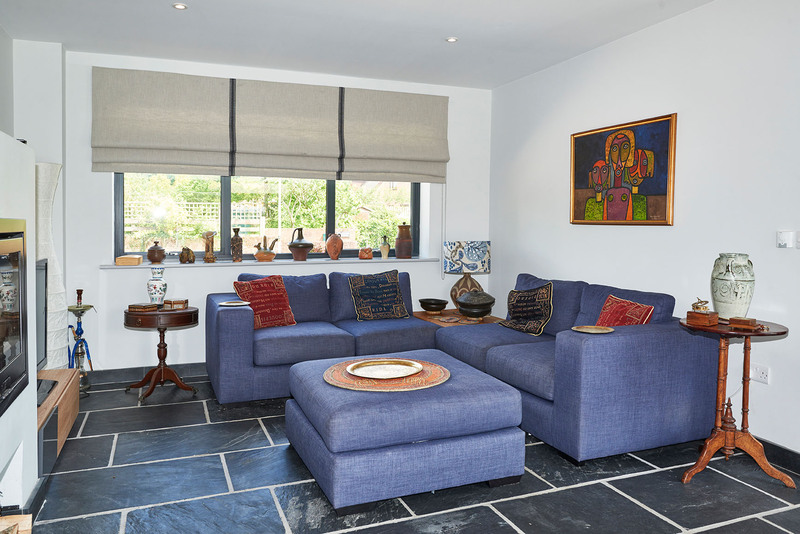 We’ve worked on a collection of projects incorporating modern additions. 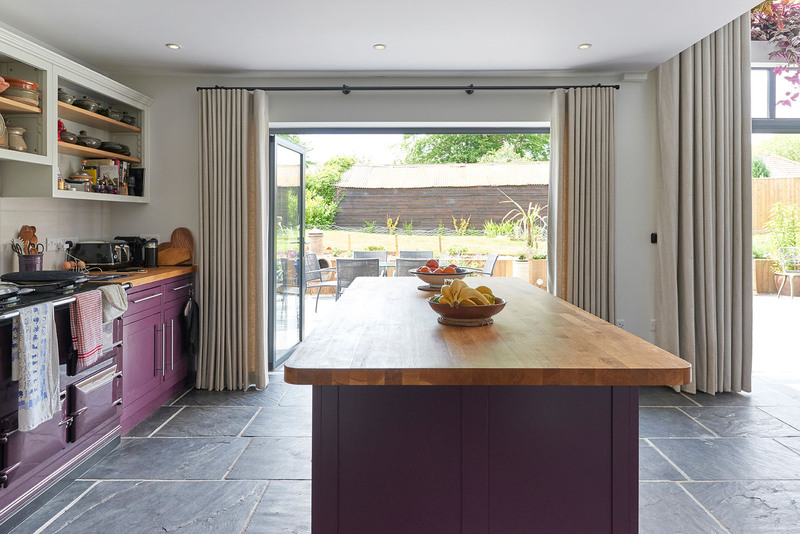 One of our most striking was this contemporary barn conversion, also in Wiltshire. Get in touch to discuss your project with us. Or follow us on Houzz, Pinterest and Facebook for more updates, news, and new projects.